CHA Animal Shelter is happy to provide this list of resources as a reference for Central Ohio area pet owners. CHA does not necessarily endorse or have any actual knowledge related to the specific services offered by the companies and individuals listed on this page. We encourage pet owners to perform their own research as to the individuals and companies that will best fit with their needs and the needs of their pets. Animal Behavior Training – Need help with training or behavior problems? Companies and individuals listed with their logos below give $1,000 or more in donations, goods, services, or sponsorships to CHA Animal Shelter every year. We thank them for their support. PetPeople has been Columbus’ premier store for high quality natural pet foods and unique pet supplies. Their trained associates are passionate about pets and focus on providing an entertaining and educational shopping experience for you and your companion pet. We thank them for their corporate sponsorship. Look for their coupons when you adopt with us! This Columbus-based label manufacturer employs many dog lovers, as evident by the canine greeters at their door. Ohio Label is a top sponsor of many CHA Animal Shelter fundraisers and has been a corporate sponsor for many years. Robintek, a website development company & digital agency based in Columbus, Ohio, is focused on working one on one with you to take your ideas, and make them a reality. Robintek donates time and hosting fees to CHA every year to maintain our website. Got Poop? Pet Butler of Central Ohio can help! Look for Pete at most of the outdoor CHA Animal Shelter fundraisers. He is usually the one with the pooper scooper in his hand! America’s Pet Waste Cleanup Service Serving your neighbors since 1988. Mention you saw them on our website! The Ohio Pet License Plate is a specialty plate that will help raise funds for education, for spay and neuter of pets for low-income families and for dogs and cats adopted from qualifying agencies. Consolidated Financial not only partners with CHA Animal Shelter as a sponsor on fundraising events but offers personal partnership in financial management for their customers. Thanks to the ASPCA for funding the cage bank in our dog intake area! CHA Animal Shelter works with the ASPCA on a consistent basis as a placement partner to find homes for animals rescued by the ASPCA. 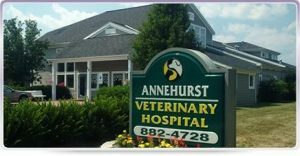 Annehurst Veterinary Hospital often helps to serve the animals of CHA Animal Shelter by providing services such as veterinary consultations, emergency after-hour care, medical boarding, and more advanced diagnostics as needed. For eligible purchases at AmazonSmile, the AmazonSmile Foundation will donate 0.5% of the purchase price to the customer’s selected charitable organization. The AmazonSmile Foundation is a 501(c)(3) private foundation created by Amazon to administer the AmazonSmile program. All donation amounts generated by the AmazonSmile program are remitted to the AmazonSmile Foundation. In turn, the AmazonSmile Foundation donates those amounts to the charitable organizations selected by our customers. Amazon pays all expenses of the AmazonSmile Foundation; they are not deducted from the donation amounts generated by purchases on AmazonSmile. CHA is a partner with the VOA Donate Your Vehicle program. The VOA accepts cars, trucks, SUVs, RVs, boats, or other vehicles. For more information about the program, go to Donate Your Vehicle on the VOA website.